This autumn has been unusual here in my little corner of Northern New England. Though there have been cold snaps, we haven’t yet had a killing frost…and the past two days have been warm and humid; much more like late spring than late October. In years past, I’ve lost my annuals to frost here as early as mid- to late-September, but this time around it’s a whole different ballgame. 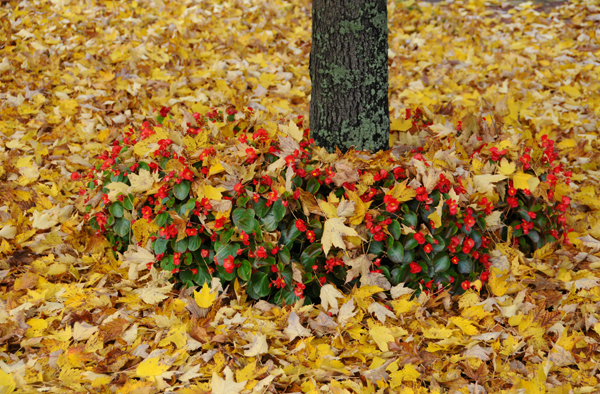 The trees may drop most of their leaves before the flowers hang it up for the season!